We are pleased to share these links to a copy of the slides and a recording of the webinar. 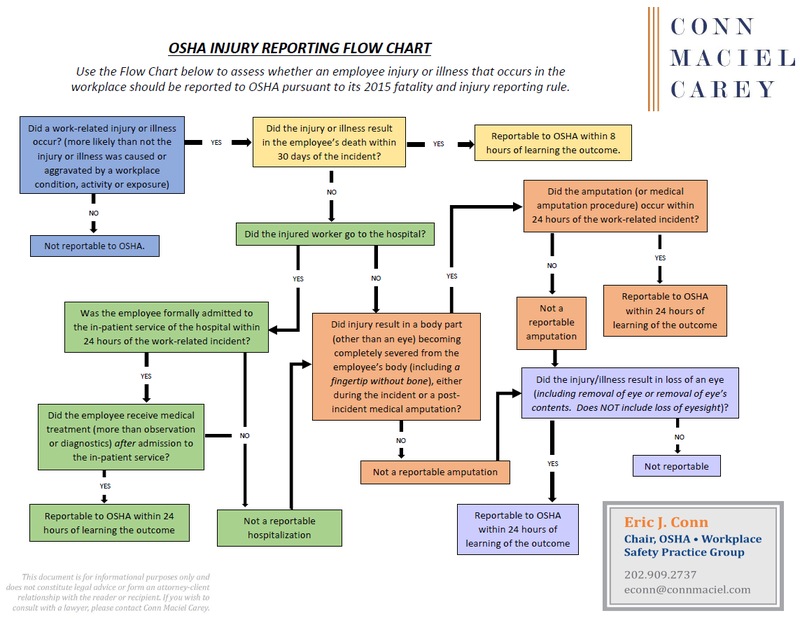 Let us know if you have any questions about OSHA E-Recordkeeping, injury reporting, or any other OSH law issues. We would love to be a resource for you. The February 12th webinar was the 2nd webinar event in Conn Maciel Carey’s 2019 OSHA Webinar Series. Click here to view our full schedule, detailed program descriptions, and individual registration pages for the remaining webinars in the 2019 OSHA Webinar Series. To register for all of the remaining programs in the 2019 series, click here to send an email request, and we will get you automatically registered. If you missed any of our past webinars in our annual OSHA Webinar Series, here is a link Conn Maciel Carey’s webinar archive.